Chemicals in conventional deodorants stink, but that doesn’t mean you need to! 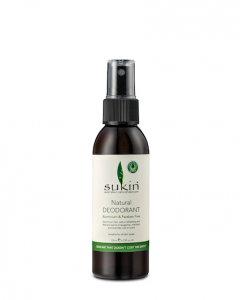 Natural deodorant has come a mighty long way since the days of hippy crystals. The new wave of pastes and sprays use blends of natural oils that go to work killing bacteria rather than conventional ingredients like aluminum, synthetic fragrance and parabens which essentially work as sweat blockers. Not only do they smell great, they’re surprisingly effective. Even for the gym junkies among us! Our friends at www.greenandsimple.co have done the hard work for you and put together this amazing wrap of the best natural deodorants on the market. Let us know in the comments below if you've found a natural deodorant that's worth a mention. BEST FOR: THOSE WHO DON'T SWEAT TOO MUCH! Aluminium free, this spray is made from Australian wildflower essential oils. It uses Rosalina oil – a sister of tea tree – that has great antimicrobial properties as well as woody-scented Kunzea oil that’s been used for treating inflammation. A blend of coconut oil, baking soda, corn starch, beeswax and certified organic essential oils make this paste a winner – even for the guys. We were surprised at how effective this little paste was. The tin can be a little tricky to open, but it’s a really great natural choice. They also have a sensitive skin option that’s low fragrance and free from bi-carb soda. With a nice a citrusy twist, this spray is good for those who don’t sweat too much. 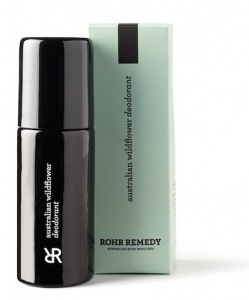 It’s a good alternative to your regular deodorant but take care if you have sensitive skin (it does contain alcohol). We liked the smell but you’ll need to reapply if you’re a medium to heavy sweater. Free from synthetic fragrance, aluminium salts, alcohol, parabens, propylene glycol and triclosans, this odour neutralising paste is a sweaty crowd favourite and one we keep coming back to. They’ve recently launched their new Barrier Booster version that’s extra moisturising, bi-carb free and perfect for sensitive skin. 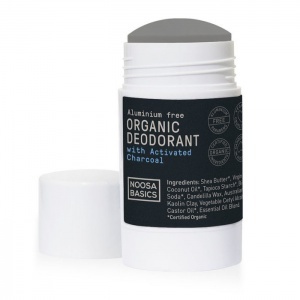 Noosa Basics offers quite a few options including a paste, roll on and a stick. Their latest offering is their deodorant stick with activated charcoal that has a lovely coconut scent. A great alternative if paste isn’t your jam. One of our favourites! It’s designed as a creme, which is easier to apply than a paste. You still have to use your fingers, just not quite as messy. Erica Brooke Him and Her’s works as well as any mainstream deodorant in our opinion. It smells amazing thanks to lavender and peppermint and the pot lasts for months.